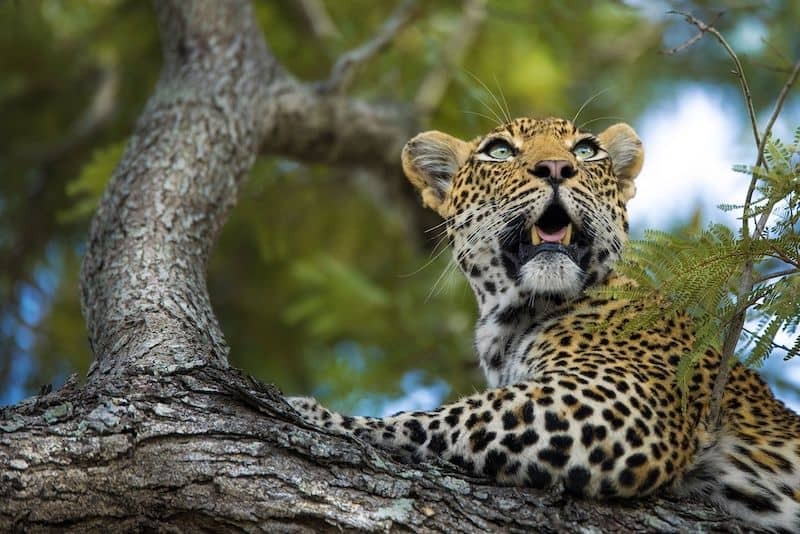 As the African travel experts, we’re always excited to discover new places, people and adventures that we can share with you. 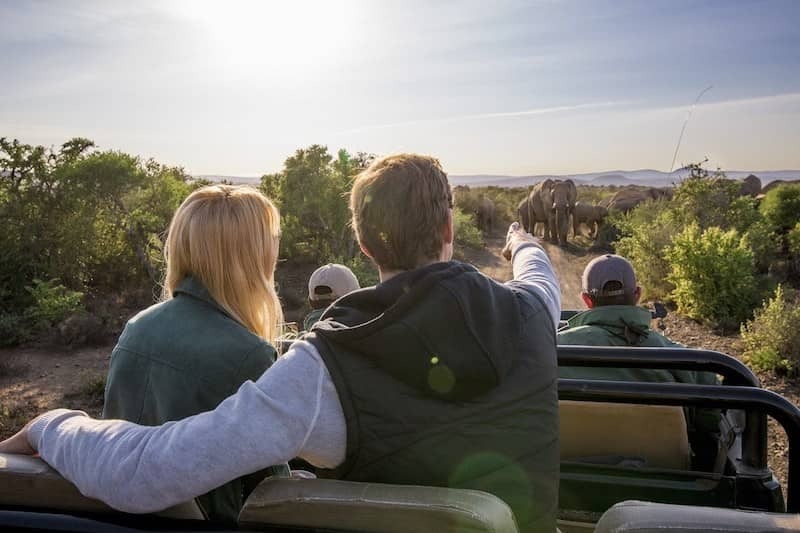 Since Valentine’s Day is this month (and February is known as the month of love) we’ve compiled a list of the most romantic experiences for you to be enthralled by in Cape Town, our Mother City. Celebrate flirtations, commitments and undying love in style by delighting in the magical experiences below. Babylonstoren is a paradise that’s not exactly in Cape Town but it’s romantic appeal makes it so worth the drive! 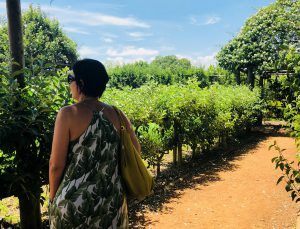 Discover the exquisite gardens of this working farm, an oasis that does so much more than farming, from growing their own organic vegetables to offering tea rituals in their zen garden. Whether you go to one of their eateries (their fine dining establishment Babel is world-class) or simply want to take a peek at their chickens, ducks and donkey’s, you’re in for an enchanting afternoon. This is also a wonderful option if you have children that need to come along. Cost: R20 pp at the gate for access to the grounds. Address: Klapmuts Simondium Road, Simondium, Cape Town. The Piano Bar is a classy place to rendezvous with your nearest and dearest over some sweet piano sounds. Space-wise it’s very small and requires booking ahead of time – perfect for a cosy and romantic atmosphere. You can head up to the sky bar on warmer nights to watch the sun set over Lion’s Head. 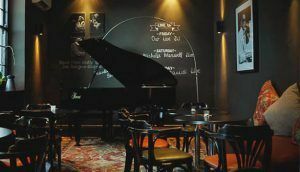 You’ll find that the acts they showcase tend to either be instrumentalists or jazz vocalists (or both) that only heighten the the atmosphere, reminiscent of 1920’s New York. This bar also appears on our list of Cape Town Nightlife attractions. Cost: R300 for the Date Night Special on Monday evenings which includes a bottle of wine and a choice of four tapas. Address: St George’s Cathedral, 1 Wale St & Adderley Street, CBD, Cape Town. Navigate the skies on a VIP winelands flight with Cape Town Helicopters that is designed with couples in mind. If you’re looking to do something memorable for your partner, there’s nothing better than this once-in-a-lifetime activity. Special requests are welcomed for things like proposals but soaring above the Cape Wine Route also makes for a heartfelt anniversary gift. Cost: R5,300 pp for a Full Peninsula flight that includes a lunch experience at an esteemed wine estate. 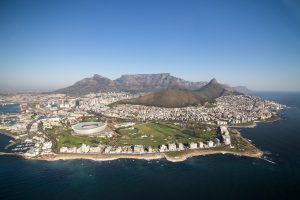 Address: 220 East Pier in Breakwater Edge, Cape Town. 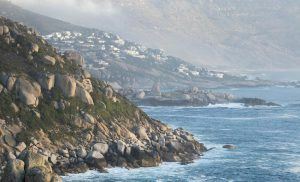 Some of the most romantic experiences you can have in Cape Town happen on the Cape Wine Route. You’ll find there’s something about being in the heart of the vineyards while drinking an award-winning wine that really sets an enchanting atmosphere. The Wine Tram allows you to explore and unwind at the different estates without the pressure of navigating the route yourself (especially after a few tastings!). 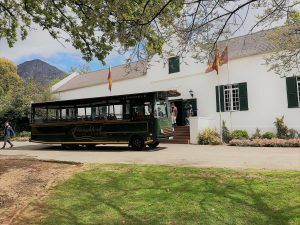 You can look at our guide to the Franschhoek Wine Tram for more information about the tickets and how the routes work. Cost: R240 pp without tasting fees but they are discounted at the different wineries for Wine Tram customers. Address: Franschhoek Square, 32 Huguenot Rd, Franschhoek. There are many charter companies located in the harbour of the V&A Waterfront and you’re sure to find that all of them have something spectacular planned for valentines day. Head out onto the Atlantic Ocean and sink into a tranquil, sunny afternoon cruising on the crystal waters with sparkling wine in one hand and your partner’s hand in the other. Cost: R410 for the Valentine’s Day Sunset Champagne Cruise that lasts for 90 min and includes the sparkling wine. 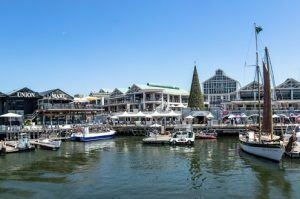 Address: The harbour, V&A Waterfront, Cape Town. There are so many places to dine out in the city bowl but we’ve narrowed it down to only three. 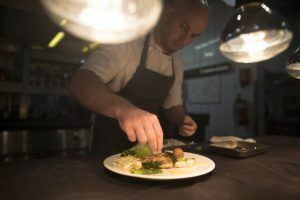 These restaurants do something a little different than your average selection and showcase why Cape Town is able to compete on global level gastronomically. You can also peruse our Cape Town restaurant guide for more information about the best places for foodies to have romantic experiences in the Mother City. Started by Arno Janse van Rensburg, Janse & Co makes their focus on ethically sourced, beautiful and delicious food. There are three dining areas for you to choose from depending on your preference. Dine casually next to the wall of edible African flowers, gain insight into the food preparation in the main dining area that overlooks the kitchen or feel the breeze out in the courtyard during the summer months. Cost: A deposit of R385 is required when booking your table while the cost of the set menu is R385 for three courses and the full seven courses will bring your total to R785. Address: 75 Kloof Street, Gardens, Cape Town. Luke Dale-Roberts is the head chef, a renowned creative master that now calls Cape Town home. Since this restaurant started in 2010, it has appeared on the World’s 50 Best Restaurants list several times and received numerous other accolades. The Test Kitchen has a multitude of tasting plates with two rooms that are specially designed to add to the experience. The Dark Room has been created to take guests around the world from Scotland to Mauritius while the Light Room has been curated around wine and tea pairings along with fine dining offerings. Cost: The set menu is R2,050 and R2,950 with a Gourmand wine pairing. Booking requires a R600 pp deposit. Address: 375 Albert Road, The Old Biscuit Mill, Woodstock, Cape Town. For a conscious dining experience, visit the Riverine Rabbit, created by contemporary chef Ash Heeger. The plates are prepared with the use of hot coals in a Josper charcoal oven according to special techniques that Heeger is known for. For a special experience outside of the usual restaurant setting, try the Chef’s Table Experience that requires 24hrs notice and a R500 pp deposit but gives you a customised menu and personal time with the chef. Cost: The three-course set menu is fixed at R395 while the full tasting menu goes for R895. Address: 81 Church Street, CBD, Cape Town. Imhoff Farm offers three daily horse rides at 09:00, 13:00 and 16:30. The rides cater to all levels of experience and are accompanied by two guides. You’re asked to kindly wear long pants and closed shoes but you’ll be provided with the necessary helmets. Picking the last time slot and planning your own sunset viewing after your ride is the epitome of romantic experiences. Spot an abundance of birdlife, whales, otters and seals along the way while at the farm itself there is a restaurant and tea garden, perfect for winding down the day. Cost: R650 pp for 45 min walk along the pristine wetlands and beach. Address: Imhoff Equestrian Centre, Kommetjie. There are several venues for these screenings but booking is essential as it becomes very popular in summertime. 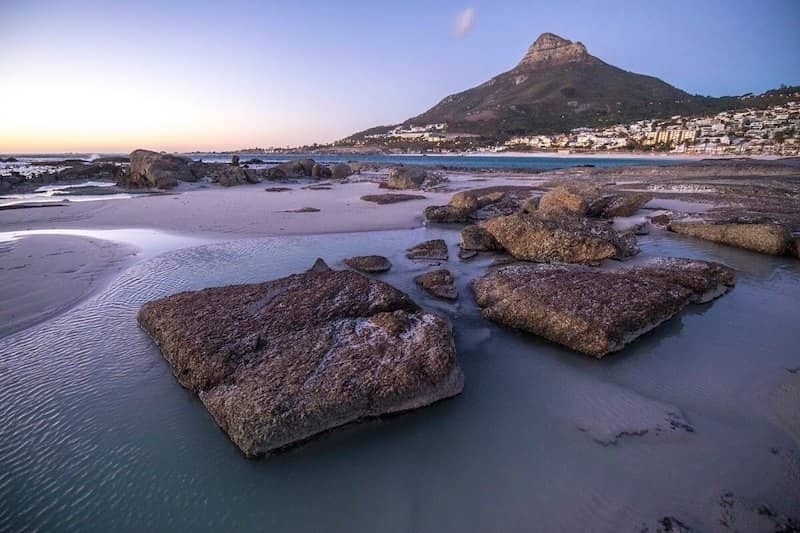 You might be tempted to skip the blankets and picnic food once you arrive in the heat of Cape Town’s summer but trust us – you’ll need the comfort once the sun sets. 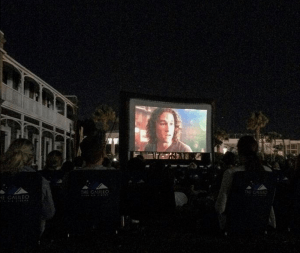 The films only start once it’s dark which can be a couple of hours after you first arrive so bring snacks or buy some of the locally-made products available. Watch a selection of your favourites as well as newer films that have recently come off the cinema run. Cost: R320 per couple for the Snuggle Option which includes entry, a mattress, two blankets, two pillows and two Frey chocolates. With experience in operating one of the most luxurious hotels on the Atlantic Seaboard, the staff at the 12 Apostles know how to pamper their guests. On sunnier days you can opt for the treatment bungalows, embedded into the mountainside with views of the ocean to the front. There’s a massive spa menu to peruse that includes plenty of couple’s spa treatments and special treats thrown in. Cost: The Celebration couple’s spa package is R3,200 per couple. This includes a 60 min massage, a facial and a glass of sparkling wine each. Address: Victoria Street, Camps Bay, Cape Town. The last but ultimately the most classic of romantic experiences on our list is the picnic. 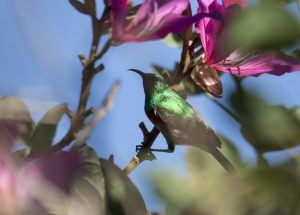 Green Point Biodiversity Park is a lush little sanctuary in proximity to Cape Town stadium. Park yourself at one of the various tables or grassy spots where you can unpack your finds. Another option is to find a more private alcove in which to set up your delicious picnic. The best part about this area is, there is an abundance of delis and coffee shops nearby where you can stock up on treats, wine or coffee. 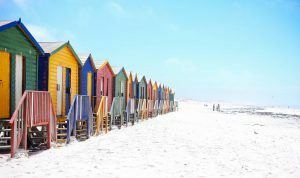 Have a look at more of our Cape Town summer picnic recommendations on our blog. Cost: Free (apart from your picnic ingredients)! 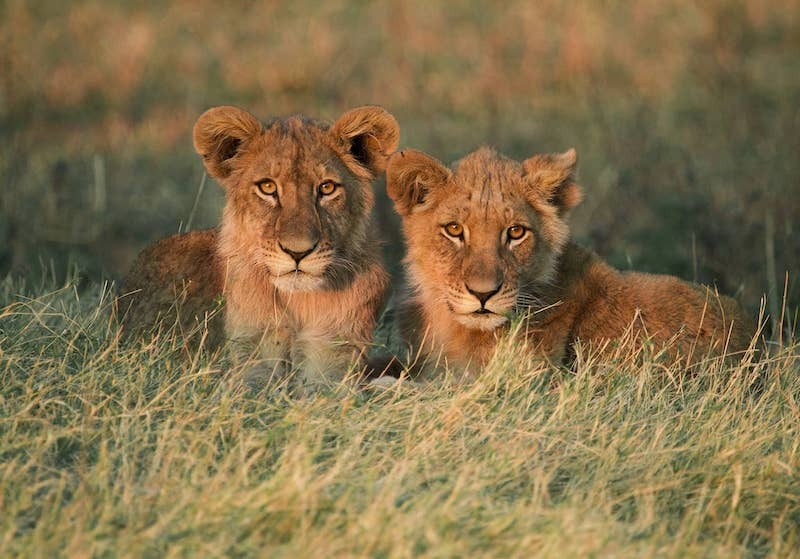 Book your Valentine’s Day, honeymoon or anniversary plans through one of Rhino Africa’s travel experts today and experience ultimate romance this month of love.